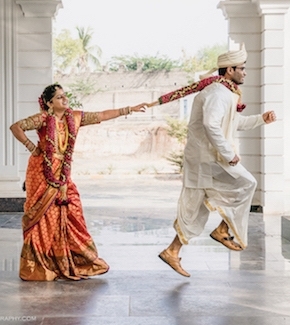 Home / Gallery / Photos / Camera Tips & Tricks / How to Make a Happy Ending of a 2-States Marriage? A 2-states marriage or in other words interracial marriage is a marriage across cultural barriers. It is fast becoming a common sight nowadays. People move to different cities and meet different people and what blossoms – is love! If you are in an interracial relationship, you know that it has its own set of challenges. From dealing with different ideologies to convincing parents of both parties, we know it’s a task. So here we are to the rescue with a list of tips to a successful 2-state marriage. To begin the journey of your legendary ‘2-states marriage’, it is important that you know each other well. If you’re planning on tying the knot soon, make sure to be the person who knows them the best. If your cultures are a world apart, then be curious. Ask about their traditions and customs. Discuss how you celebrate festivals and what are some basic norms in our culture. This is going to be a big step for both of you. You both should be aware of what you’re marrying into. Now hopefully, you don’t follow the ‘All humans are the same.’ mantra because each culture is different and that’s a fact. Talk about how conflicts are going to be tackled, what happens when your culture opinions won’t match? How are festivals going to be celebrated and with which folks? How are meals going to be planned in case one is vegetarian and other non-vegetarian? Where will you live? How are responsibilities going to be divided? Pondering over these questions will not only help you resolve issues but will also help you answer these questions confidently in front of your parents. If your family isn’t that liberal or ‘chill’, then you have some convincing to do! An easy way would be to start giving hints in advance. Include your significant other in conversations with your parents. Be positive when you talk about your partner in front of them. If you’re more inclined towards a specific family member like your mother or your sibling-talk to them. They will be of a lot of help. All in all, keep in mind not to drop the bomb abruptly but slowly and steadily. You can also invite your partner to family events along with your other friends. 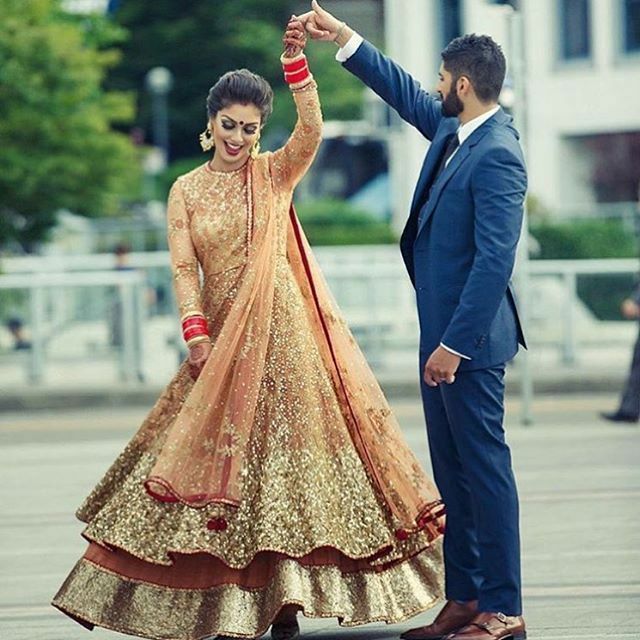 If you are following this list to make your 2-states marriage a success, then by the time you have reached this step, your parents have a fair idea about your partner. Prep your partner beforehand about your parent’s viewpoints, likes and dislikes. This gives your partner some ground before the meeting. Also, ask your parents to not be too hard on your partner, they are probably already very nervous and most importantly, ask your significant other to just be themselves. After this meeting, schedule one of the parents. Let both the parties know how serious you are. Tell them your future plans confidently. BONUS TIP– Include both your parents in your future plans, this will make them really happy. Well, planning this wedding is going to be a huge task just like other weddings but your 2-states marriage is going to be a little more specific. 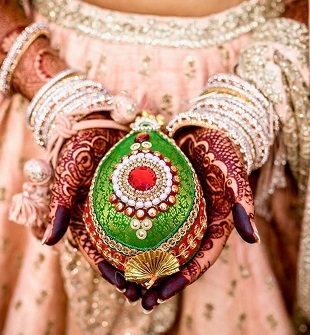 India is diverse and each culture has its own traditions and rules of marriage. Firstly, you’ll have to decide on the type of wedding you want to have. 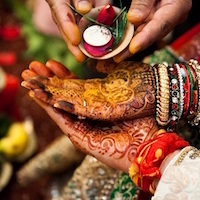 The best option to go with would be to perform the wedding ceremony respecting both cultures. Secondly, where the wedding will take place. Usually, the wedding ceremony takes place in the bride’s town but if traveling will be an issue, you could decide on a place midway for both the parties. Benefit? You’ll have a destination wedding! Adding to this, make sure to have a diverse cuisine. You must’ve planned all this in advance for your perfect 2 states marriage but now is execution time. If you plan to live on your own, make it a point to visit both your folks often. Make plans which include both your families. A holiday is a great occasion to get to know a family’s culture, their values, habits, beliefs etc. Call your significant other’s folks and check on them regularly because now you’re a part of their family too. Not all of us have the same level of involvement with our respective cultures. Some of us have a more global outlook. Be supportive even if you don’t believe in something. Never ever disrespect the other’s traditions and customs. Tackle culture-related issues with utmost consideration. If one partner in your relationship is from a dominant culture, remember you just have to accept not blend in. Do not listen to people who only have something negative to say. After a mild argument about a completely unrelated topic, you don’t need people who say, “He/she will never understand you because they are from a different culture.” Weed out people who constantly try to find faults and keep pointing out how different you both are. Yes, accept it or not. You are being watched. All those nosy aunties are watching just to prove their age-old theory of ‘marrying in the same culture is always better’. This can also prove to be a great incentive for you guys. If you’re the first in your family to take up the ‘2-states marriage’ challenge, then you’ve set out to make an example. Remember you’re the living example of ‘In life, all you need is love’. In conclusion, with everything else, remember the only ingredient which makes any marriage a success is love and trust. Wish you a happily ever after from Wedamor!